A man’s style is judged as much on his choice of accessories as the actual clothes in his back. Pick your accessories correctly and you’ll add tones of weight to your style game. ‘Accessories’ is a word that is not only related to the women, it’s equally important for men too. Accessories do magic in making dull and simple outfit look more stylish and elegant. The more classy accessories you add to your attire, the more respectable you look. People will get more attracted to a man (rather, a gentleman) with a classy tie, an elegant time piece and a decent belt. There a many many many accessories that men need to have. Here is a list of top 10 accessories men should definitely invest in right now. This is the only hand accessory which men can invest in and it really helps in making it an exceptional timepiece. 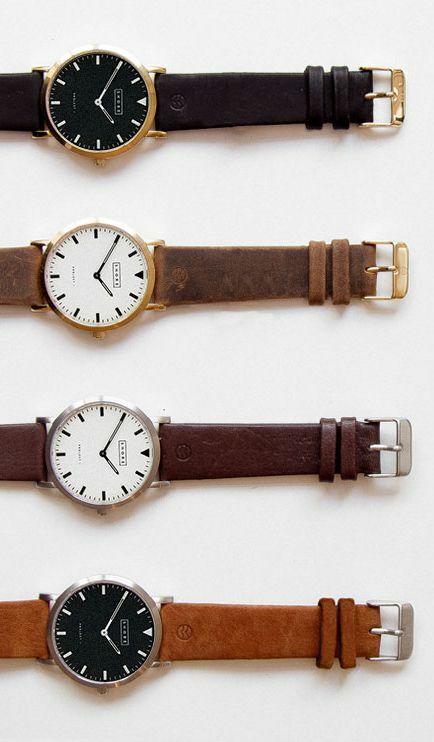 The watch is the one thing that people notice, consciously or unconsciously, but it does definitely get noticed. Neckties are available in variety of colors, sizes, designs, materials and styles. You have to go for the right one according to your outfit and the color combination as wrong choice can break your look and make you a subject of discussion. Men can never forget the buddy, it holds all your documents and money so it’s better to own a good wallet and make sure it’s kept neat and tidy with only the essential stuff stored in it and the extras trimmed off. The only accessory that holds the enough stuff needed, without worrying about carrying a lot in hand. So whether it’s your presentation day in office, or you’ve got to go to a bachelor party to an outstation, a bag will always be your best companion. Yes, the most important thing again, which gets noticed unconsciously, but plays a very important role in the attire. Just make sure the socks match up with your shoes and aren’t too showy. Invest in a high quality, good looking scarf during winter to keep you warm as well as look stylish. Nowadays it is making a huge style statement across countries. A high quality leather belt can last you for a pretty long time. It completes the formal look. No they are not showy at all. Find an appreciable hat matching your outfit and simply flaunt your hattitude! With the beard done well and a good hairstyle, a classy or sporty sunglasses, would really make the sun bow for you! The only thing that can make girls go all gaga over, provided you do it right. Don’t wear a very strong smell or a very light one, it must just be the perfect one and you are all set! So make sure you’ve armed yourself with all or most of the accessories before the meeting or date or party and done up like we suggested to stand out in crowd. Good luck! What is the Role of Dumps to Pass CompTIA A+ 220-902 Exam?